With the rising number of smart phones, you cannot deny this fact that the demand for user friendly apps will also increase. In this new era of interaction where most of the communication is happening through online mode, voice and text based apps are also proving to be of great help. 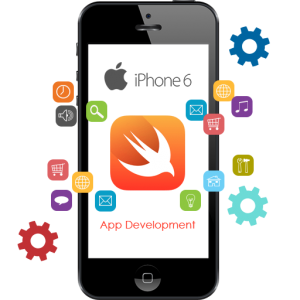 We at afrideveloper have a team of professional and well qualified iOS application development experts. All of them are very passionate about their work and they always make sure that top quality and revolutionary apps are developed. We have developed different category of apps ranging from social networking, finance, education, health related etc. We know that our clients want the best and we always make sure that excellent results are developed. Every app designed by our app development experts shall be tested over and over again and latest IOS SDKs are being used. If you wish to expand your business and want to create a wonderful app for the promotion of your brand or products or services, then look no further. Contact us and we will make sure that your requirement gets fulfilled in a less span of time, and more importantly, the LOWEST possible price in the market! Afrideveloper designs and develops high-quality iPhone and iPad iOS applications. iPad app development and iPhone app development are two of our core competencies, making up almost one third of our projects. Afrideveloper’s native iOS developers leverage our iterative, agile process that ensures you receive a quality iOS app. It is certainly a good option for businesses who want an app that displays basic information. Think about this as a hierarchy: opening screen has big topics and you click one and you now have a set of new lists to click on. Development on this gets more complex and starts to get into whether or not you want the data housed “native” or “dynamic”. An example would be having hundreds of dog breeds that you want to organize and display differently. This means that you take certain functions of the phone, such as the alarm, camera, or flash, and make it better. Similar to the database driven apps, these apps are the kind that rely purely on external information.